Khenpo Kunga joined the DSR as a PhD student in 2016. His research is in the area of contemporary Tibetan Buddhist scholars’ engagement with science with a particular interest in Buddhist and contemporary scientific theories of consciousness, karma and reincarnation. He received an MA, also from the DSR, in 2014. 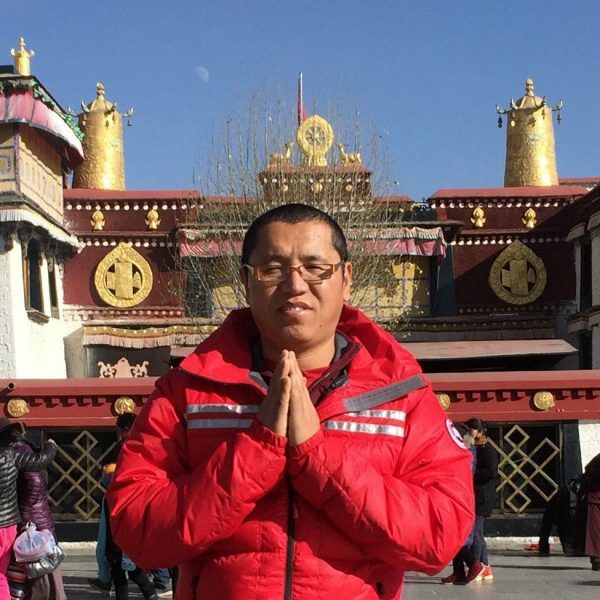 Khenpo has worked at the DSR since 2009 both as a course instructor of Tibetan language and as a Research Consultant, assisting with student and faculty research and teaching in Tibetan Studies. Before coming to the University of Toronto, Khenpo received a traditional Tibetan Buddhist monastic education and earned the advanced title of Khenpo (abbot) in 2005 from the Dzongsar Institute for Advanced Studies of Buddhist Philosophy and Research in India. He then taught for many years at Dzongsar Institute, India and Zurmang Buddhist College in Sikkim, India. He is the author of several works on Buddhist philosophy in Tibetan.